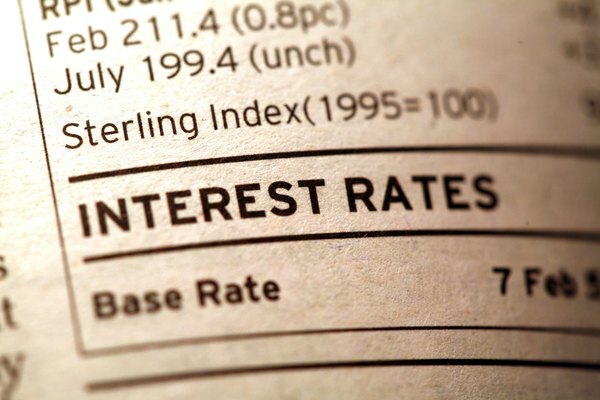 Do Bonds Pay a Variable Interest Rate Monthly? Floating-rate bonds may pay interest monthly or on some other schedule. Most bonds periodically pay a fixed amount of interest throughout the year. A floating-rate bond operates differently -- the bond issuer regularly adjusts the interest rate on a floater to match some well-known rate, such as LIBOR or the Fed Funds rate. Because floating-rate bonds pay a variable amount of interest equal to prevailing interest rates, their prices tend to remain stable over time. The adjustment and payment dates of floating rate securities can vary substantially from issue to issue. Floaters are normally short- to medium-term debt issues tied to a short-term interest index. Fixed-rate bonds lose value when interest rates rise because the bonds’ interest rates begin to seem puny to investors. A floater is adjusted, or reset, to reflect current rates and thus enjoys price stability. When considering the purchase of a floating-rate bond, you need to ascertain two important floating-rate features -- the reset period and the payment period. The frequency at which a bond issuer adjusts a floater’s interest rate is called the reset period. Reset periods can range from daily, weekly or monthly to quarterly, semi-annually or annually. You receive the utmost price stability with daily resets. Often, the floater reset period coincides with the reset period of the associated interest index. For example, a floater tied to the Fed Funds rate is reset daily to reflect the daily change in the reference rate. The period between a floater’s reset date and payment date is called the “lock-out” period. Floaters make interest payments monthly, quarterly, semi-annually or annually. The interest you receive depends on the interest rates in effect since the previous interest payment. Floater interest is normally not compounded, though you can reinvest the interest payments separately to create your own compounding. Shorter payment periods allow you to reinvest more frequently, increasing your compounded rate of return. Reset periods and payment periods are not necessarily related to each other. A floater’s reset period and its associated interest index can impact the bond’s performance. When interest rates are falling, floating-rate bonds tied to lagging interest indexes outperform floaters tied to daily indexes. For example, the Prime rate usually lags behind Fed Funds or LIBOR. A floater tied to the Prime rate will reflect a lagging, thus higher, interest rate, which enhances the floater’s value relative to floaters that reset daily. Conversely, in a rising rate environment, floaters tied to daily indexes outperform floaters with longer reset periods tied to lagging, hence lower, indexes. Marketplace: What's a Floating-Rate Note and How Does It Work?